I have only played mahjong twice. Each time I played for four to five hours. The game started after dinner, and it was finished just before mid-night. In Hong Kong, this game is also called máquè (麻雀) which means sparrow. I was quite puzzled when I first saw the huge street signs saying "sparrow house", but I eventually figured out that it meant mahjong. According to Wikipedia, "sparrow" is still the most commonly used name in southern China. For me, I only see it displayed prominently in Hong Kong. I have either not noticed the street signs in other southern cities, or overlooked them completely. The reason might be my limited experience in playing mahjong. I have never played in any city but my hometown. The two rounds of games happened in Hebei. It was during the school holiday. I came home from university. And one night, somebody in my family suggested we play a round of mahjong. After dinner, the table was set, and I quickly got excited. It wasn't difficult to learn the basics. We used plastic chips for money. This game lasted the whole evening. The next day, I suggested that we should play mahjong again after dinner. And we did. For some strange reason, that night was the end of this game for me. I have never played since. 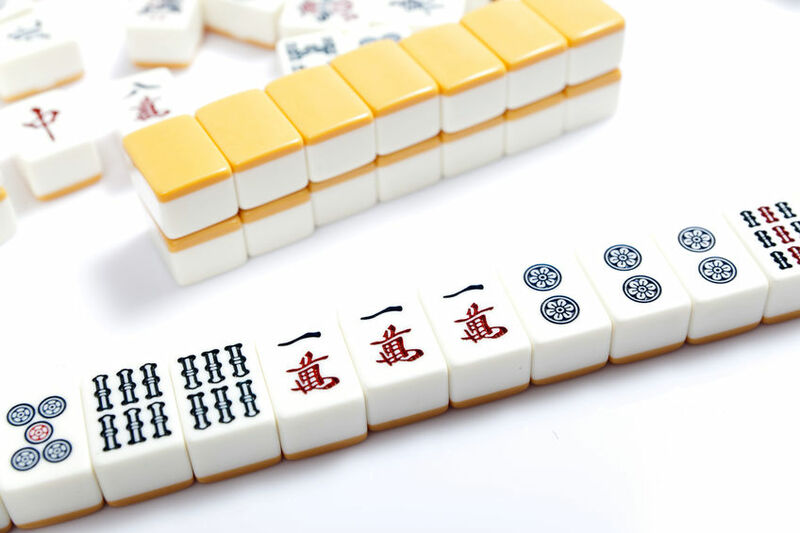 Mahjong in Mandarin is májiàng (麻将). One of the myths of the origin of majiang was traced back to Confucius, who, as the myth goes, developed the game in about 500 BC. The myth also claims that Confucius was fond of birds, which would explain the name "sparrow". I found it hard to believe. If it is true, how come none of his ardent students recorded this in their notebooks? Chinese people always have a knack for gambling. And gambling is regarded by every Chinese as bad. It was listed in the four vices: eating, drinking, visiting prostitute and gambling (吃喝嫖赌). In order to forbid gambling activities, majiang was banned by the government since 1949. But as a cultural recreation activity, it was later revived. In Hong Kong, it is a favorite pastime. Whenever I walk around villages where people like to leave their doors wide open, or old small shops like the one in the picture, I can always see people playing majiang. It was fun to watch them and to feel the pleasure of playing is filling up the whole place. People are usually pretty quiet. This is very different from the stereotyped noisy majiang players portrayed in the movies. Also according to Wikipedia, there were studies done by doctors in Hong Kong, showing that the game is beneficial for individuals suffering from dementia or cognitive memory difficulties. Majiang can be a therapy in this regard. I used to memorize a lot of phone numbers. But now, the only numbers I remember are mine and police station hotline. It is obvious that part of my brain is not used. Isn't this alarming that it could potentially lead to something disastrous, like dementia stage one? Maybe it is time to get back to majiang. I need three people to have a game. So, interested, anyone?